April 17, 2019 April 19, 2019 Comments Off on Can you save a person from stroke? Have you attended First Aid Training? Every second is countable and precious whrn a person is having a stroke. Your immediate action will potentially help to save the person and get back to his life I you can master the situation. Knowing basic first aid knowledge, will help to save millions of lives. Generally, Stroke is the “Brain Attack”. Stroke is a situation when the sufficient oxygen flow and blood supply is interrupted to the brain because of a blood vessel to the brain has a clot or bursts. Hence, under this situation, the longer the person is suffering without sufficient blood supply, the higher the damage to the brain occurs and the greater the risk is to save the victim. But administering first aid at the right time can save a victim from criticality. The first and foremost step is to Call 911 for immediate help and inform the situation that there is a victim suffering from Stroke. It is advised to note the first few symptoms when a person suffers with a stroke. Based on this the relevant medication can be administered to the victim. CPR (Cardiopulmonary Resuscitation) is not required for most stroke patients. But still, if the victim is unconscious, check for the pulse and breathing and start performing CPR until medical assistance arrives. 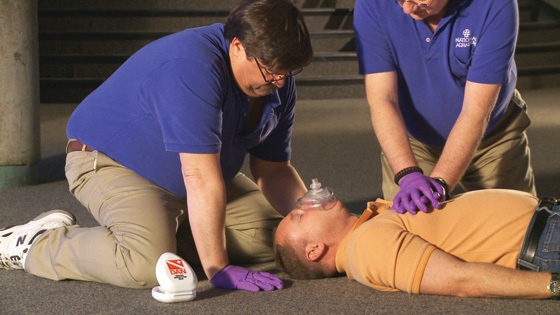 CPR is a technique that has its own guidelines or standards that in behind providing its own rationale. CPR Training Malaysia had been following closely with the guideline from American Heart Association (AHA), this guideline from AHA will be updated every 5 years in order to improve its effectiveness and quality. CPR Training Malaysia conducted by CERT Academy is a certification course and is one of the most effective, fun and interactive session. If you are interested in CPR Training but have concerns as to whether or not you’ll know what to do and how to respond if you ever happen to come across an emergency situation? Its advisable to get trained from the leading CPR training providers and get certified and build up the confidence to face the situation.